Addressing the Social Problem of Rising Medical Costs, etc. 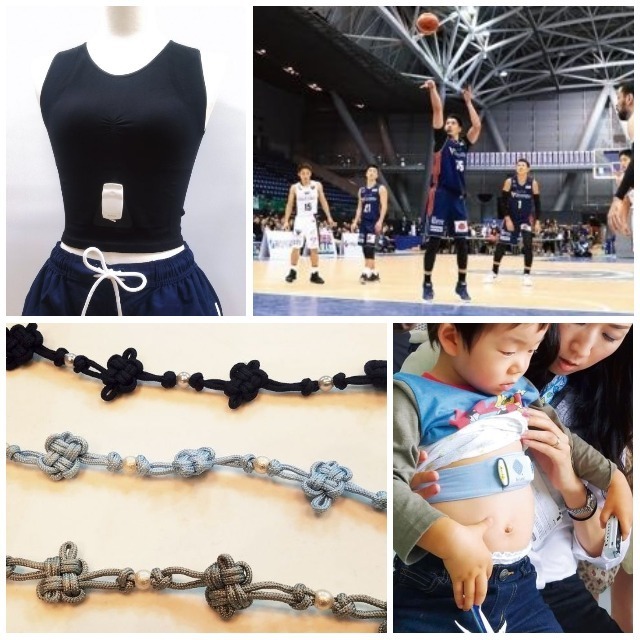 The Japanese fibre industry is putting effort into the development of “smart textiles,” due to the high expectations that have been placed on fibres as a technology that can further enhance convenience and enrich the lives of people in the future. With the evolution of IoT (Internet of Things) technology in recent years, it has become possible to obtain accurate data on all things, including biological information for human beings. By utilizing that data, the development of solution services to address a wide range of social issues is moving forward. “Smart textiles” made from fibre is one of the cutting-edge materials that underpin sensor technology, which plays a central role in such services. A representative example of solution services is the monitoring of health and safety of elderly persons living alone, care-receivers living in care homes, and workers such as those working on construction sites and long-distance drivers. Sensor-wearers are constantly monitored so that any abnormalities in their conditions, such as falls or deterioration in physical health, can be detected and the risks dealt with swiftly. Algorithms are currently being developed for a system that detects symptoms such as epilepsy and heatstroke, as well as signs of drowsiness, through the sensor, and which sends a notification to the administrator when abnormalities are detected; practical application of this system has just begun. Japan is expected to become a super-ageing society by 2025, with approximately 25% of the population aged 75 years and above. Medical costs and insurance premiums are rising significantly in Japan, in tandem with the ageing of the population. If a high-precision monitoring system could be established, it would be able to provide support for the health and safety of the citizens, while contributing to reducing medical and insurance costs. In that context, the relevant companies are pushing forward on their development efforts. “Smart textiles” that utilise sensor technology primarily comprise fabrics woven from fibres that are equipped with electrical conductivity. Why have fibres drawn such attention in this field? That is because fibrous materials have the unique properties of being thin, soft, and comfortable on the skin. It is, at this point, the most wearable fabric in comparison with other materials. Furthermore, as a sensor, it offers the advantage of minimising stress on the wearer even with long hours of use for the purpose of data measurement. The development of cutting-edge fibre materials is an area where Japanese material manufacturers excel. hitoe, developed jointly by Toray Industries, Inc. and NTT (NIPPON TELEGRAPH AND TELEPHONE CORPORATION), is a functional material that can detect biological signals emitted by the body in the form of weak electrical signals, such as cardiac potential, muscle potential, and brainwaves. hitoe (by Toray), used to monitor the elderly, care receivers, and workers. 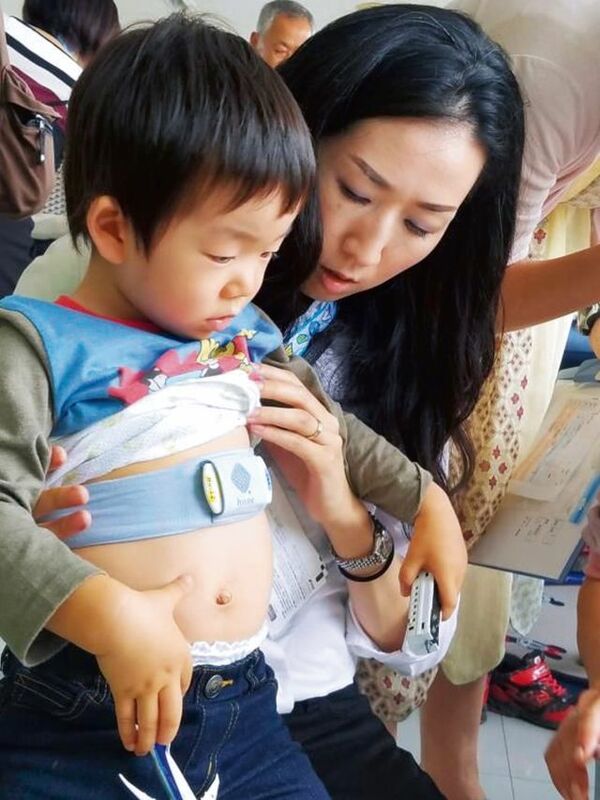 Demonstration experiments are also underway on the development of a belt-shaped system that can be used to monitor babies. The structure of the fabric comprises a delicate knitted material made of extremely fine nano-fibres, and fully perfused with conductive polymers, which are high molecular compounds that allow electricity to pass through; this structure performs the role of the sensor. It detects weak electrical signals emitted by the body, such as cardiac potential, and is able to monitor the body’s condition by working together with an application software that it connects with through wireless communication. GOLDWIN INC., a sports apparel manufacturer that handles brands such as THE NORTH FACE in Japan, was quick to commercialise such cutting-edge materials as innerwear, and is applying them to products that can monitor health and safety conditions for users such as workers at construction sites. Going forward, it aims to establish and develop a business in the home monitoring of the elderly and care receivers, as well as for rehabilitation applications. TEIJIN LIMITED is moving forward on the development of applications for a “piezoelectric plaited cord,” a sensor made by plaiting conductive fibres with PLA (polylactic acid) piezoelectric fibres. By responding to movements of the cord, such as expansion and contraction, bending and stretching, and twisting, it is able to monitor the condition of the user. 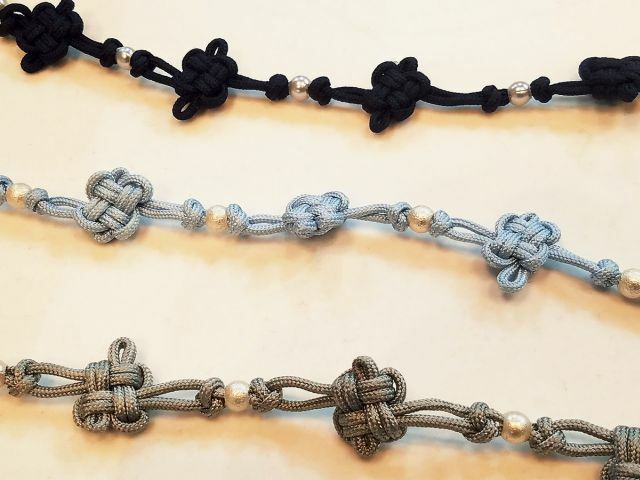 Its characteristics as a cord allow it to be made into a fabric, or attached to cloth in the form of a tape or lace. This makes it easy to process and shape it to match various purposes. “Piezoelectric plaited cord” (TEIJIN) that detects the fine movements of the human body, such as pulsatory motions, through the application of the ancient Japanese technique of braiding. Worn on the body like an accessory, it detects pulsatory motions. This data is sent through wireless communication to an electronic device such as a smartphone, which enables the monitoring of the user. TOYOBO CO., LTD., which developed the film-type conductive material COCOMI, is working toward the practical application of heart rate measurement technology in cooperation with UNION TOOL CO., which produces heart rate sensors. Through technology that combines fabric affixed with COCOMI, an elastic material, with a heart rate sensor, the company proposes the application of this material as a monitoring system. It is also harnessing this technology in the development of an algorithm that can detect drowsiness, and is moving toward conducting demonstration experiments aimed at drivers. MITSUFUJI Corporation, which had its roots as a Nishijin textile factory, aims to establish wearable IoT products as a global standard. The company manufactures silver-plated conductive fibres. Its AGposs series, which is equipped with excellent conductivity, has been highly appraised worldwide, and it receives an endless flood of inquiries about the product from companies that are interested in wearable products. 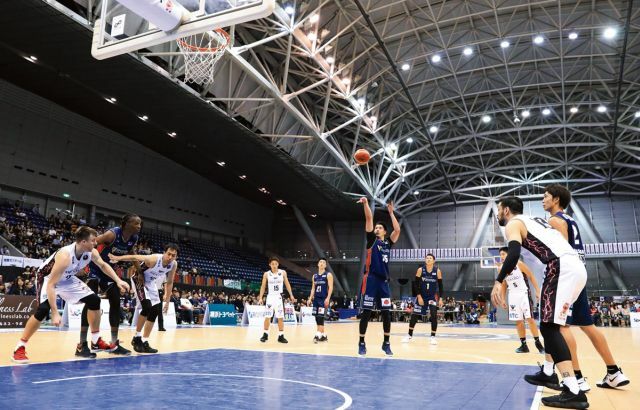 The company is working in partnership with YOKOHAMA B-CORSAIRS, a professional basketball team, on the full-scale development of smart clothing for athletes (navy-blue uniforms). In December 2016, it launched hamon, a line of wearable items developed in-house. The first product launched under this series is has no seams, as it is produced with a seamless flat knitting machine called the “whole garment.” It is a practical product designed with care to eliminate stress from wearing it, while possessing the functions of smart clothing. MITSUFUJI Corporation primarily develops and provides solutions for the healthcare and medical sectors, but will begin work in earnest on the development of solutions for athletes in the near future. When athletes put on smart clothing during their training, it is possible to build up a database of biological data such as cardiac potential, heart rate, and muscle potential, as well as apply the data to the management of the physical condition and the conditioning of the body. In collaboration with professional sports teams, the database that is built up will be used to develop products that can offer even more precise feedback. President Ayumu Mitera of MITSUFUJI Corporation emphasised that 2018 marks the first year for the mass production of smart clothing. In view of that, the company is developing its mass production system in Japan. It has completed its in-house production plant for AGposs in Kyoto, and will finish the construction of a plant in Fukushima Prefecture that will carry out the integrated development and production processes for hamon smart clothing, dedicated devices, and cloud systems. 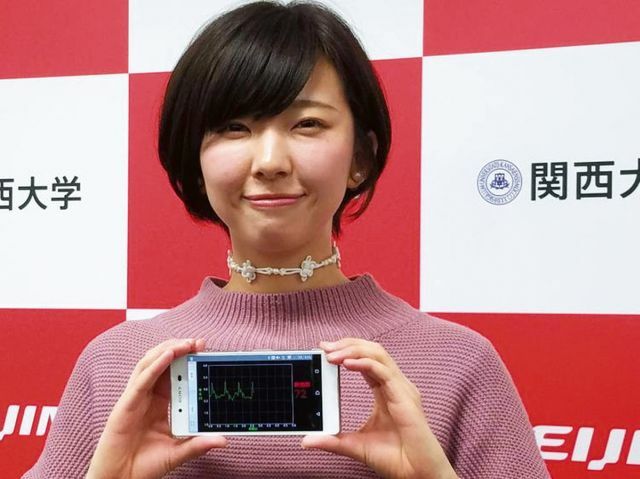 MITSUFUJI Corporation aims to develop mechanisms that improve sporting performance and inspire emotions, through the analysis of biological data to elucidate the reasons behind why people fall sick or experience stress. It seeks to build cutting-edge development systems in Japan, as well as engage in research on algorithms.